There is a huge drop off in excitement levels as the European Tour heads from Carnoustie over to Northern Germany and there is a fairly average field headed by a couple of key sponsors’ players. 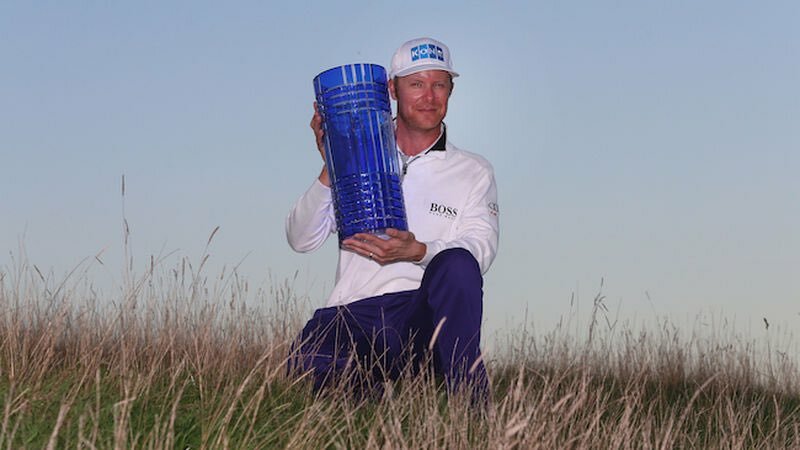 With plenty time to recover after just a short journey many of the lesser ET players will no doubt arrive in great condition having really enjoyed The Open and watched as one of the European Tour’s most cherished member’s lifted the Claret Jug. There will be a good atmosphere in Hamburg this week and I would mark down having played last week as a positive given how much the players seemed to enjoy it. With that said however those who have made the trip over from Angus aren’t the most inspiring bunch barring the 9/1 favourite Patrick Reed. But he struggled here last year to finish just 19th and can be opposed easily at single figure odds even in this weak European Tour field. Next come Paul Casey, Bryson Dechambeau, Pat Perez and Charl Schwartzel in the betting but again I can easily leave them out at the prices. Casey makes very little appeal at just 10/1 and while Dechambeau is playing well, I’ve not seen anything to suggest this sort of test in Europe is something he should be backed for at just 14/1. Perez might struggle with the length of the course as he isn’t getting any younger while Schwartzel was awful last week. The course is the Green Eagle North course just to the south of Hamburg and it was remodelled for last year’s event which was won by Jordan Smith. He gained his maiden ET victory by overcoming Alexander Levy in a play-off after both men finished on -13. The course is tough enough with its main defence being the fact it can play to some 7800 yards long and there is water in play on most holes. Even as a par 73 that is quite substantial and the course has five par 5s to allow for that number. The rough was also relatively lush last year and those who drove it long and straight had a decent week. Despite not being a birdie fest, putting was very important last year. The greens are immaculate but they are quite heavily undulating and both Smith and Levy performed well with the short stick. With the summer having been a very good one the course probably won’t play as long as it did last year so there might not quite be the same requirement for the straight driving but with a lot of water in play it’s probably still a useful angle to take in and one I have used, my main pick aside. That first pick is a fairly obvious one as Zander Lombard has the all important mix of current and course form and his opening price of 100/1 was very surprising and also long gone. He was 5th here last year and enjoyed surely the best week of his life at Carnoustie where he contended for 54 holes before ending with a bit of shocker on Sunday. He isn’t a player that I particularly like as he is often quite wild and erratic but if he enjoyed the course last year I’m sure he will enjoy it again this year with confidence high despite the Sunday 82. We can forgive that as he was in with a legitimate chance of winning the Open and better players than him have shot worse rounds in easier conditions when in similar situations. As the commentators told us repeatedly, he had missed 13 of his previous 18 cuts heading into The Open but he must have found something with his swing in Ireland 2 weeks prior when he finished 6th. That was such a marked improvement and anything close to last week’s 54 hole form would give him a great chance here. It’s a value play really based on that up turn in form and if he keeps that going he doesn’t have an awful lot to beat here beyond the Masters champ. He has been heavily cut since Monday but there is still plenty of 66/1 around which is still ok for me. Adrian Otaegui is the classy in-form European Tour pick here this week. He has been creeping ever closer to his first stroke-play event but in the process he has racked up 2 match play titles which has propelled him to 79th in the world. He is a long and accurate driver at his best and while not always the best of putters you certainly wouldn’t have noticed that during his two wins as he appeared to hole everything that mattered. With those two strengths you would expect he would be suited to the test here and that was exactly the case when he finished 5th last year. One of his two wins actually came in Germany so returning to the country and to a course where he has played well before should be very positive. He will be fresh after a much needed rest week as he played the previous 4 weeks in a row and that may have been partly responsible for his missed cut in Scotland. Prior to that he was 28th in Ireland and 12th in France and should play well again. Richard Sterne played brilliantly from tee-to-green two weeks ago in Scotland and was only let down by a cold putter. He was 3rd in total driving, 2nd in ball-striking and 1st in total accuracy. It was almost the opposite here last year where he ranked 6th in total putting on the way to a 19th place finish. The undulating surfaces would have suited the South African who had a fantastic touch on the greens when he was at his peak. If he can marry both the long game and putting together then this test is ideal and we know he can still mix it at this level when fully fit. Back problems have dogged him severely over the last few years but he looks worth following this week in the hope that he maybe turned a corner in Scotland. Pedro Oriol is a huge price for someone who sits 24th in strokes gained: tee to green on the European Tour. That is good enough for 2nd in this field behind only Patrick Reed but the American has only played 8 rounds to contribute to his figure. Oriol also ranks 7th in ball striking over the last 3 months. Most of his better results come on mainland Europe and his only professional win was in Switzerland. He was 2nd in total driving on his last start and 6th in the all-round ranking so he could be over priced here in a field lacking any real depth.